OMG! Chrome! have been doing what they do best ━ snooping, and very good at it they are. They spotted a video of Renee Niemi, (who is the lead of Android and Chrome for Work and Education), at the recent Google Teamwork event, where she revealed that the company’s working on the next-gen Pixel that will be release later this year. We do have a new Pixel coming out and it will be coming out soon. We will be selling it but I just have to set your expectations: this is a development platform. This is really a proof of concept. We don’t make very many of these — we really don’t. And… our developers and our Googlers consume 85% of what we produce. But yes, we do have a new Pixel coming out. 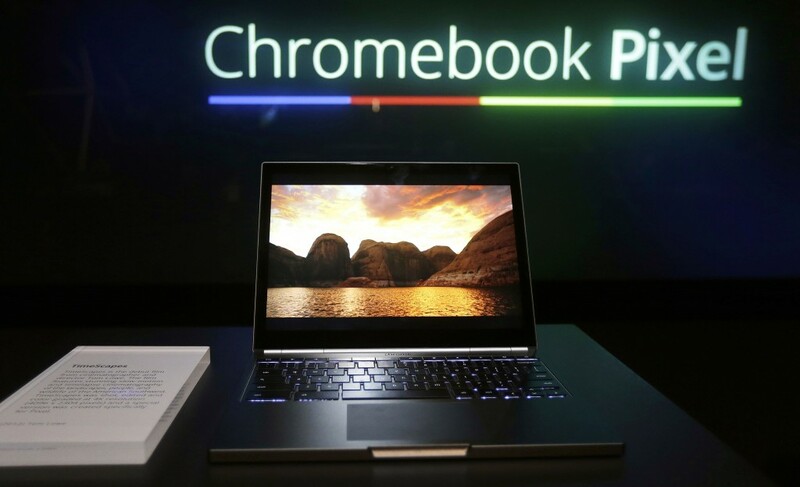 Obviously Google hasn’t officially announced anything yet, including the Chromebook pixel specs. But according to OMG! Chrome!, though, it might still have the same 12.85-inch high-res screen, along with the new, reversible type C USB port. The retail Chromebooks are priced in the £170 to £300, but it’s most likely the Chromebook Pixel 2 will cost around the same price as the first Pixel which started at around the £1,200 mark. There’s also a chance that the new model will be announced at Google I/O 2015 in May, as the first one was launched at the same event back in 2013.